Take advantage of team building lesson plans and strategies that help to build trust and rapport among your team and with your customers. 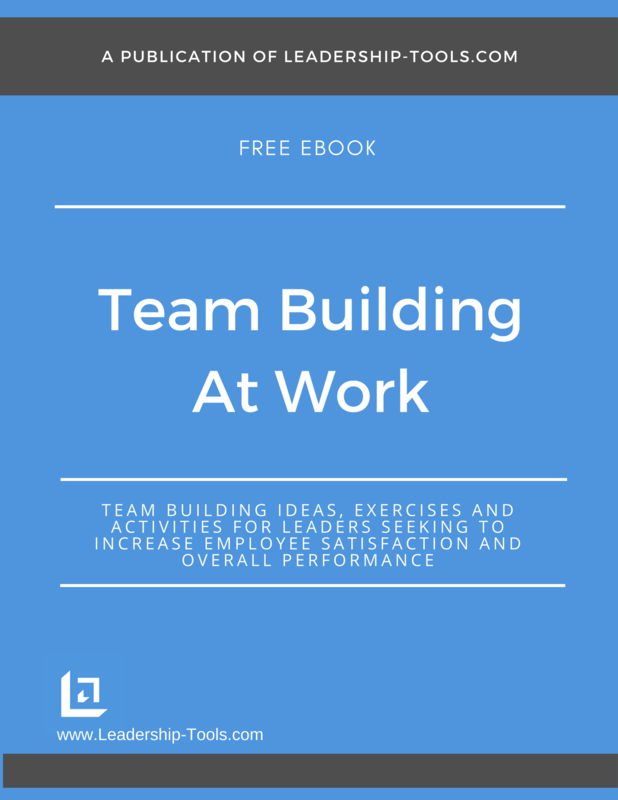 To access our entire inventory of team building ideas and activities, download our free eBook, Team Building At Work. Mutual trust consists of a shared belief between team members that they have each others best interests at heart, and they can depend on one another to do their utmost to achieve a common purpose. Leaders can do a lot to provide opportunities for team members to engage with each other and to get to know one another better. For example, taking your team to an event outside the normal workplace helps to break down barriers as people will feel more comfortable and connect on a more personal level. Your team building lesson planning should include activities that encourage team members to share more about themselves such as their family background and outside interests. Doing so allows team members to feel more connected, which makes it easy to build trust and rapport. 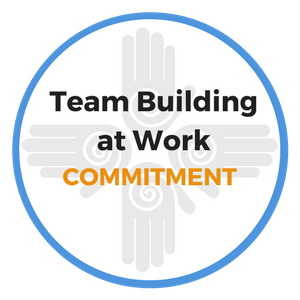 The tighter the connection between employees, the stronger their commitment will be to help each other succeed, which means the team is likely to achieve better results. "To be persuasive, we must be believable; to be believable, we must be credible; to be credible, we must be truthful." Team relationships that are based on mutual trust and respect are more sustainable in a highly competitive working environment. Leaders that do not take the time to create and nurture trust among team members are being short sighted and putting the success of their team at an increased risk. Great teams are great because of that trust, not in spite of it. Trust between team members and throughout an organization, will always be at the core of their ability to out perform their competition. We encourage you to use these team building lesson plans and exercises to increase and improve trust and rapport within your team. Purpose: Use this team building lesson plan as a blue print for how a leader can build trust and rapport by clearly communicating the importance of Leadership, Teamwork and Customer Service. Some items are more applicable to non-leadership roles, and others are perfect for a team of middle and lower level managers. Explanation: Use the following team building lesson plan as talking points for your next staff meeting. These notes contain key bullet points for multiple areas of leadership so you may even want to use these key talking points over several team meetings. Teach/Coach/Expect - talk about the importance for all managers to be hands-on in teaching and coaching employees - only then can you justify holding employees accountable to meet all expectations. Teaching happens in the classroom. (Here what I want you to do.) Coaching takes place afterwards in the field (Observe team members actually doing what you want them to do, and working with them until you confirm they know how to do it.) Expecting should only happen after you've taught a team member what to do and watched them do it. You've done your part. Now it's a choice on the part of the employee. Read more about the Teach/Coach/Expect model in this leadership article. Motivation - It's a personal choice every employee makes daily when they walk in the door. (Remember the Golden Coat Hook exercise?) It's not the leader's responsibility to motivate employees, but it is your responsibility to hire self-motivated individuals and then provide a working environment that supports and inspires employees to want to consistently improve their skills and continually add value to the team and the organization. Every Employee Takes It Personal - When a customer leaves to do business with a competitor, you should take it personal. Taking it personal means you care. Taking it personal means you are disturbed enough to change what you are doing so that next time you will win the business. Taking it personal ensures you get your team and yourself to the top of the performance rankings and stay on top. How "disturbed" are you when you lose a good employee? 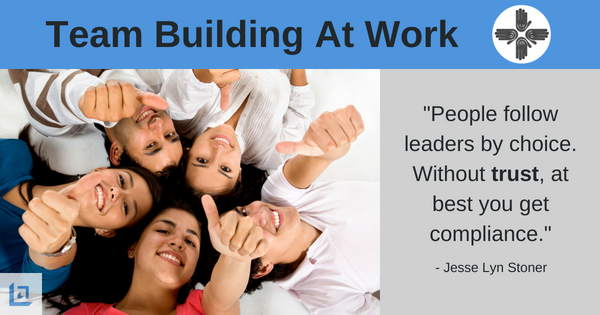 By continuous leading your people through team building lesson plans and activities, you'll decrease the risk of losing your best people. We Have The Advantage! - This is a great message for leaders to let their team know how much you value and appreciate them. How would you feel if you heard the following from your supervisor? "We have the secret weapon. We have something that none of our competitors can claim to possess. We have "that which makes the big difference". What is it you say? Simple, we have you, which is a powerful competitive advantage.YOU are the key to the success of this organization. YOU make the difference with each customer interaction. YOU are my secret weapon - and I truly value and appreciate all that you do." The bullet points provided above are key messages that you can use in future meetings. These messages are powerful in helping to build trust and rapport with your team. Use these messages to help create a team building lesson plan for success. Purpose: To build trust and rapport among team members by providing a team building lesson plan exercise that will open dialogue and build strong working relationships. List any particular skill or talent that you possess that no one in the workplace is currently aware of. The leader will collect all of the sheets, mix them up, and post them on the wall. The leader must assign a number to each of the sheets as a reference point. "Nothing we do is more important than hiring and developing people. People make your business great, so treat them well." Next, have each team member write down the names of all of their co-workers and then try to match the names of their co-workers with the correct numbered sheet that is posted on the wall. Ask team members to then grade each others paper. Have awards for the person(s) who correctly matched the most names. Once the winner has been announced, the leader will lead a discussion asking team members to identify their sheet. Ask each team member to elaborate on his or her special skill or talent. Inquire about what has motivated their life goals, etc. In conclusion, the team leader can make a point of recognizing the "collective talent" in the room. They may even find an unknown talent that can now be used to help the team in a current or future project! Learning new things about team members is an important part of team building lesson planning and a great way to further strengthen trust and rapport between team members. To download our free Team Building At Work eBook, providing team building lesson plans, strategies and activities, simply subscribe to our free newsletter. You will immediately receive a password that grants access to our entire leadership tools library.